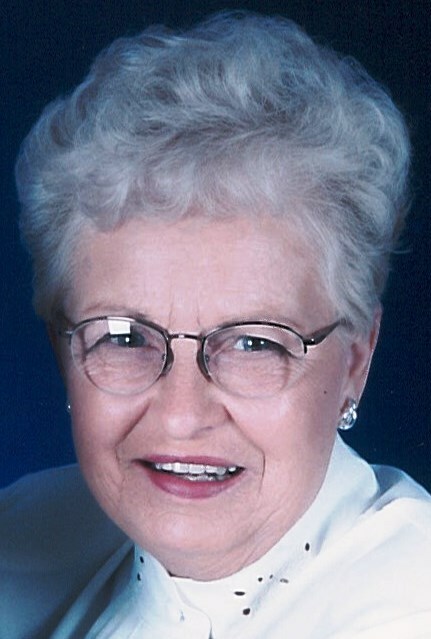 Blanche E. McLean, age 89 of Grand Haven, joined her Lord on October 22, 2018.She was born September 28, 1929 in Muskegon, MI to Clyde and Thressa Wilks. On January 2, 1950 she married her protector, caregiver and loving husband of 68 years, Raymond, who survives her. First and foremost, Blanche was a loving wife, mother and grandmother.She was a fastidious homemaker and additionally worked various part-time positions in Grand Haven. Blanche was a long-time member of Second Christian Reformed Church and was generous with her time volunteering there. She was also one of Grand Haven Christian School’s Nearly New store managers for many years. Blanche enjoyed time with her family, embroidery, sewing, cooking, baking, crafting, crossword puzzles, jigsaw puzzles and card games. Blanche will be especially missed by her family. She is survived by her husband, Raymond; daughters, Holly (Michael) Bladel of Lakeville, MN and Joy (Ron) Pratt of Marne, MI; grandchildren, Katelyn Bladel, Shannon (Ben) Bladel Haskin and Spencer Pratt; sisters, Leatha Hildebrandt, Mary(Bill) Hoffman and Sharon (Leo) Locricchio; brothers, Charles(Sara) Wilks and Winston(Betty) Wilks; sister-in-law, Helene Warner, along with many wonderful family and friends. She was preceded in death by her parents; her infant son, David; in-laws, Earl & Bernice McLean; brothers, Clyde Wilks Jr. and Lyle Wilks; sister-in-law, Marlene; and brother-in-law, Don Hildebrandt. The Celebration of Life for Blanche will be 11:00 am Friday, November 2nd at Second Christian Reformed Church in Grand Haven. Friends and relatives may meet with the family 6 to 8 pm on Thursday at Klaassen Family Funeral Home. Interment will be at East Dalton Oakhill Cemetery. In lieu of flowers, please direct donations to Hospice of North Ottawa Community.